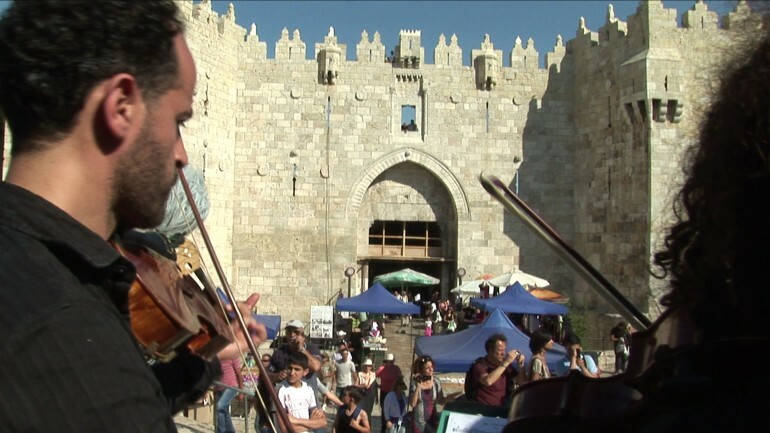 This film is not about occupation; it is not about the conflict; it is not about music. These are all elements of the story, but the film is about something else. It is about a group of men and women working with Al Kamandjati, a Palestinian Cultural Association conducting a program of music education in the West Bank. This picture is about them and their difficulties in transforming music into a means of freedom and liberation. It seeks to answer some simple but fundamental questions: Who are they? What do they want? Why are they so important? How to play Beethoven, Mozart and Bach in an environment which is often depicted and perceived as the space of the clash of civilizations?